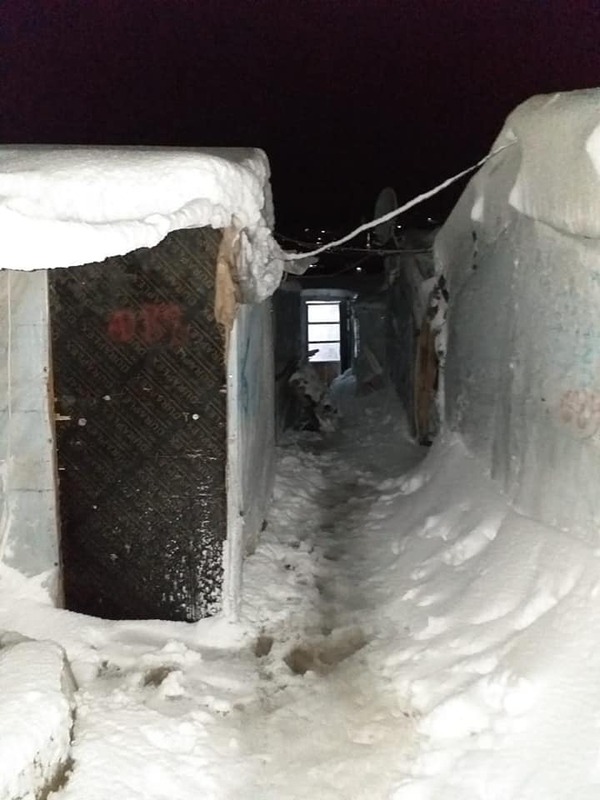 The Lebanese Red Cross rescued more than 500 people from Akkar’s Semmaqieh refugee settlement Monday after their tents filled with floodwater as storm Norma battered Lebanon with fierce winds, heavy snow and rainfall. Red Cross vehicles transferred the 100 Syrian families to other settlements determined to be safe from flooding and to nearby schools, where the U.N. refugee agency distributed blankets and mattresses. Akkar Gov. Imad Labaki ordered the schools to remain open as shelters until the storm subsides and alternative accommodation is found. Meanwhile, caretaker Education Minister Marwan Hamadeh announced in a statement that the winter break for public schools and vocational institutions located in areas at an altitude of 700 meters and higher would be extended until Tuesday evening as result of the weather conditions. Private schools will have the prerogative to decide whether or not they will open their doors. Hamadeh said he would issue another statement Tuesday on the status of schools for Wednesday. Wind speeds reaching 100 kilometers per hour are expected Tuesday and will be at their strongest in the north, kicking up waves of up to 5 meters. Rain will fall sporadically in the morning and intensify starting around noon. “Temperatures will drop slightly, and snow will fall at an altitude of 900 meters and will reach 700 meters and below” in various areas, a source from Beirut airport’s Meteorological Department told The Daily Star. Snow is expected to reach altitudes as low as 600 meters Wednesday in northern areas and 800 meters in other parts of the country. In its Monday morning forecast, the Meteorology Department warned that heavy rainfall could cause flooding in some areas and even landslides. The Internal Security Forces reiterated its warning to citizens not to take mountain roads except when necessary and to check the status of the roads before traveling. The Beirut Municipality Fire Department cautioned people to be on alert and stay away from the waterfront or beaches as water levels rise. In Jbeil, Electricite de Jbeil asked residents of the governorate to report any electrical failures caused by the storm so that repairs can be carried out as quickly as possible. Norma’s strong winds, whose speeds have reached up to 90 kph, have uprooted several trees and billboards across the country. An ISF spokesperson told The Daily Star that an estimated 15 people were killed or injured in car accidents Sunday and Monday. This figure, he said, was lower than average for this time of year, because fewer cars were on the roads, and those that braved the storm were taking more caution and driving more slowly. Ziad Akel, founder of road safety organization YASA, told The Daily Star he was calling on the Public Works and Transport Ministry to make much-needed repairs to Lebanon’s roads. In videos shared Monday on the Facebook pages of YASA and Akel’s personal account, rainwater was seen pouring from the roof of a road tunnel and a car was seen caught in a ditch beside a collapsed road. Only 15 percent of Lebanon’s roads are in good condition, according to an economic report drafted by global consulting firm McKinsey made public Friday. But taking into account all conditions, Lebanon saw the worst of Norma Sunday night, the Meteorology Department source said, with the storm set to gradually subside over the next few days and pass by Thursday. The state-run National News Agency reported Monday that in the Bsharri district, approximately 50 centimeters of snow blanketed most towns starting at 700 meters, about the altitude of Turza. Roads were opened in the area, but only with the help of the municipalities and the Transport Ministry. Rashaya also experienced heavy snowfall: In towns higher than 1,300 meters, snow fell nonstop and reached about 50 centimeters. Snow in Jezzine hit altitudes beginning at 900 meters, keeping the municipalities, the Red Cross and the Civil Defense on alert. The southern city of Sidon Sunday evening narrowly evaded disaster after a radio mast fell from a building. A number of cars, stuck in slow traffic in the area as a result of the weather conditions, were damaged. Sidon residents Monday flocked to the mouth of the Awali River to collect tree roots and branches carried downstream after Norma caused the river to burst its banks to use for firewood. In Tyre, the heavy rains turned roads into rivers in both the southern port city’s industrial and residential areas, while rainwater caused extensive damage to homes and businesses. Norma’s high winds also destroyed agricultural land and crops in the area, particularly banana trees. People were marooned in their cars in Zahle’s Dahr al-Baidar because snow and ice had led to road closures, though the traffic was eventually cleared. In Sharqieh, in Nabatieh, strong winds uprooted an old tree, causing it to fall on high-voltage power lines and severing the town’s electricity lines. Maintenance teams have been working to resolve the matter. Head of the Higher Relief Committee Mohammad Khair has started looking into the situation of those affected by the storm, following a request from President Michel Aoun, according to the NNA. Khair said a team from the committee would evacuate families from their homes in the worst-hit areas and provide them with alternate accommodation.